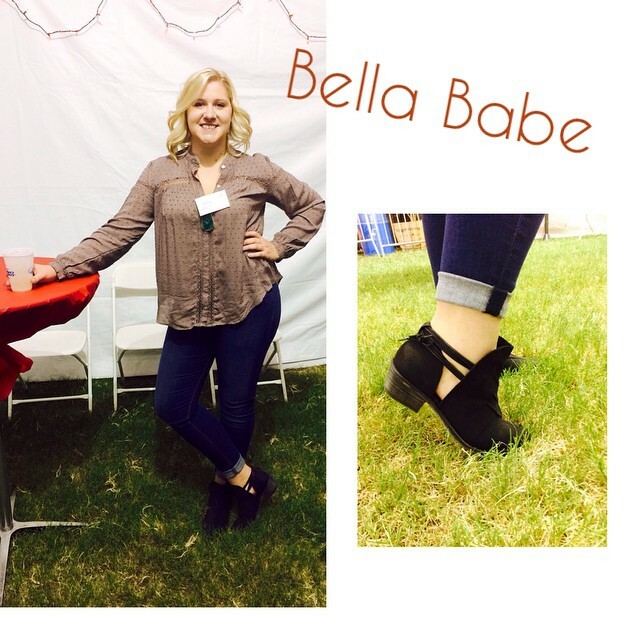 One of our own Bella Girls rocking her BELLA outfit at the FAIR…looking cute @ktolcott! 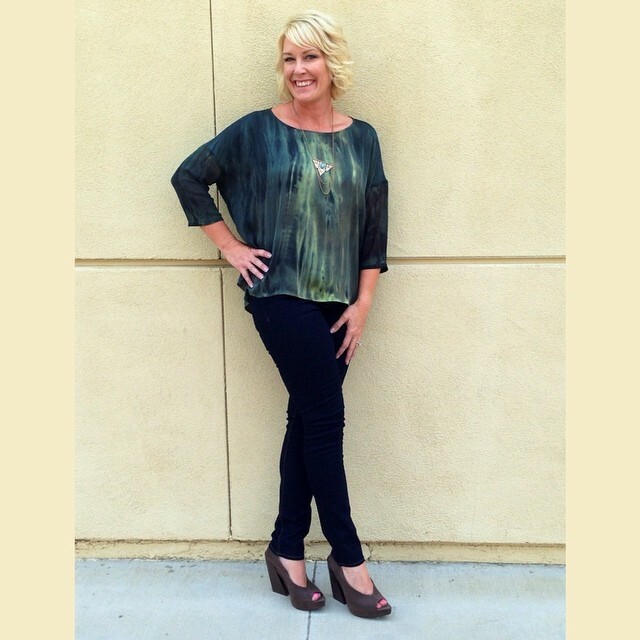 Free People blouse & booties with Hudson Jeans…all denim 25% OFF during the FAIR! What’s in the Window this week at Bella…graphic print dress by BCBG ($178), handbag by Vince Camuto ($198), layered tank by Addison ($158), crop cuff by Hudson ($185), stripe hi/low dress by Bobi ($84), denim vest by BCBGeneration ($98), gauze strapless dress by Bobi ($92). Shoes by DV ($99), BC ($81), Seychelles ($103), Jessica Simpson ($99). Jewelry by Jules at Bella. What’s in the Window this week at Bella…peplum dress by Charlie Jade, sequin jacket by Addison, black dress by Bobi, blouse by Bella Dahl, print denim by Hudson, embroidered top by Free People, colored denim by 7 for all Mankind. Shoes by BCBGeneration, Melissa, Seychelles and Jessica Simpson. Jewelry by Jules. What’s in the Window this week at Bella…faux fur cardigan by Michael by Michael Kors, blouse by Bella Dahl, denim by Hudson, tie top by Bobi, colorblock skirt by BCBGeneration, maxi dress by Heather, lurex hi low dress by BCBGeneration. Handbag by Rebecca Minkoff. Shoes by Melissa and BCBGeneration. Jewelry by Jules. It’s the 1st Day of Fall!!! 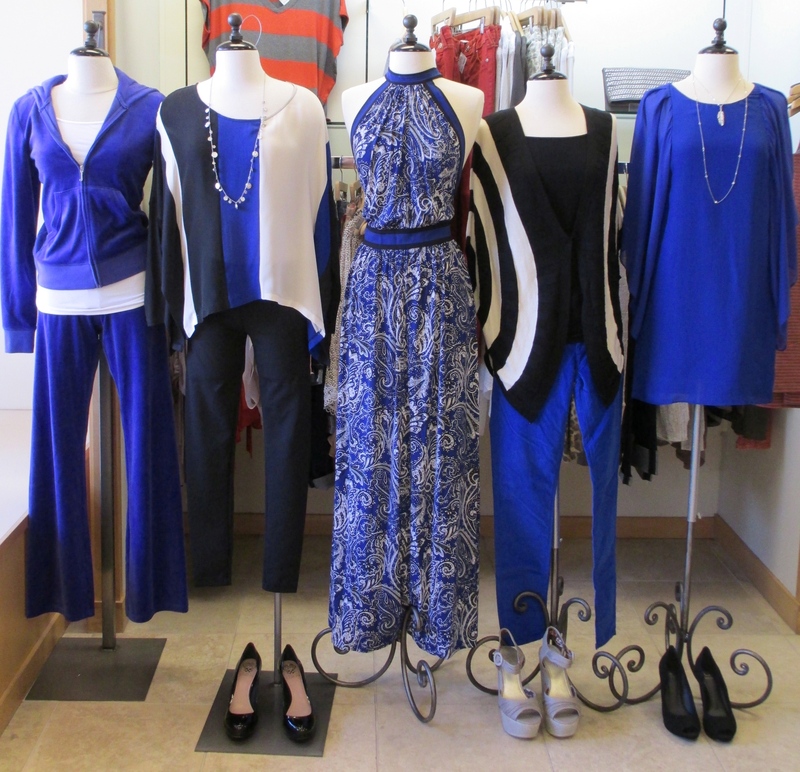 We have a vast selection of new Fall Merchandise…here is just a taste (BCBG blazer $298, Hudson baby cords $176, Dolce Vita booties $129, Jack sweater $70, Velvet colorblock sweater $189 and Juicy Couture necklace $68).